At lunch, ask to sit in the downstairs. I had lunch today with my boss and a client in downtown Nashville. 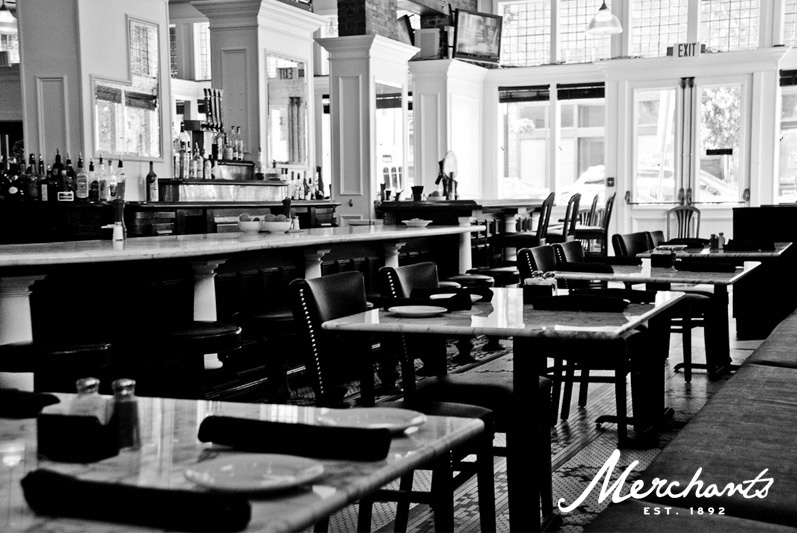 Merchant's restaurant is one of those old Nashville institutions that you have to try. I've snagged a few pics below for flavor (the one above is mine). All of them are from the website. The menu is worth a try. I had a special pulled pork BBQ with 'Bama WHite Sauce. And LORD, it was good. Here's some history from the website and a few photos. Do yourself a favor and give it a try when you are in Nashville. 401 Broadway. I sat in the booth all the way at the front. It's an awesome view. 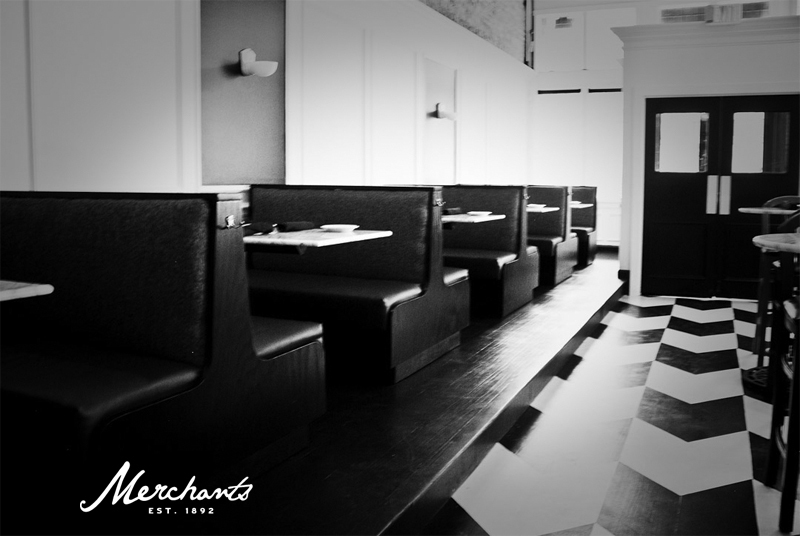 Merchant’s Restaurant opened in 1988 in the old Merchant’s Hotel, which was constructed in 1892. The original structure was a three-story building built circa 1870 which housed a pharmacy on the 1st floor, a hardware manufacturing company on the 2nd floor, and a wholesale drug company on the 3rd floor that was famous for producing the alcohol and opium based “Blood Medicine” which can still be seen advertised on the brick walls today. The Merchant’s Hotel in 1892 offered the European Plan which was 25 cents a day for lodging and another 25 cents for a meal. Each room had a bed and a fireplace, and privacy was not guaranteed. Many notable Nashville legends stayed at the old Merchant’s Hotel, including Hank Williams, Patsy Cline, Loretta Lynn, Dolly Parton, Porter Waggoner, Little Jimmy Dickens, and Roy Acuff to name a few. When you walk through the building you can see the vestiges of the original hotel rooms with fireplaces. 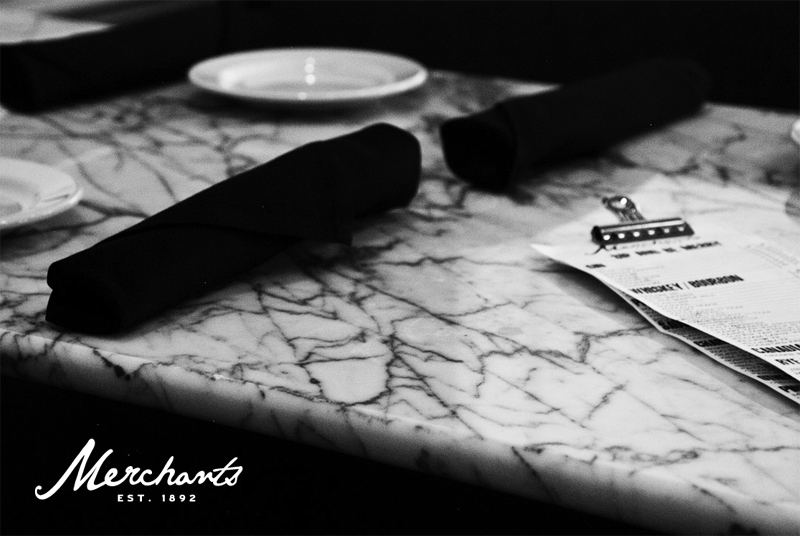 Downstairs original marble counters and tile are still maintained and every effort has been made to hold on to the unique history and architecture of this renowned Nashville establishment.